Our cultural tours unearth the rich history and culture of Sri Lanka. Classy Tours help you experience Sri Lanka as a local, piecing together the vibrant domestic culture which has mostly ingrained Buddhist rituals and art. Holidays in Sri Lanka will reveal the cultural activities and festivities unique to the island. As tour operators in Sri Lanka we tailor make your personalized travel to suit your needs. 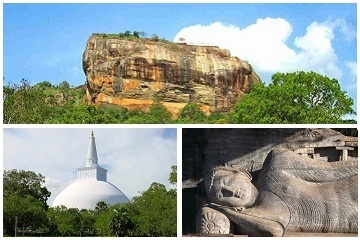 The ancient civilization of Sri Lanka can be witnessed across the Golden Cultural Triangle which encompasses the cities of Anuradhapura, Polonnaruwa and Sigiriya. The archeological sites reveal the amazing reality of how technologically advanced Sri Lanka was compared to other nations in the past. The wooden art, sculptures and paintings say a lot about ancient Sri Lankan heritage. Sigiriya is a UNESCO heritage site and is a masterpiece making it a wonder in Asia. 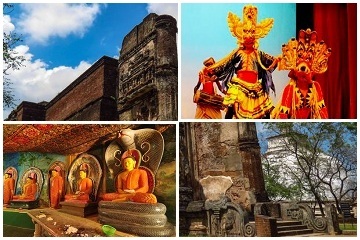 For lovers of History, a cultural tour to Sri Lanka will not just give a memorable experience, but also knowledge of the ancient Arts and Crafts of the island nation. Cultural tailor made tour offers customer designed journey that are exclusive and personal to each holiday maker. Now you can simply design your tour together with one of our experts to fits with all your requirements.